Yesterday started with a tour of the Gutenberg Museum in Mainz and ended with a 10K in Berlin. That’s 350 miles by train, plus another 6.2 on foot. The Gutenberg Express. 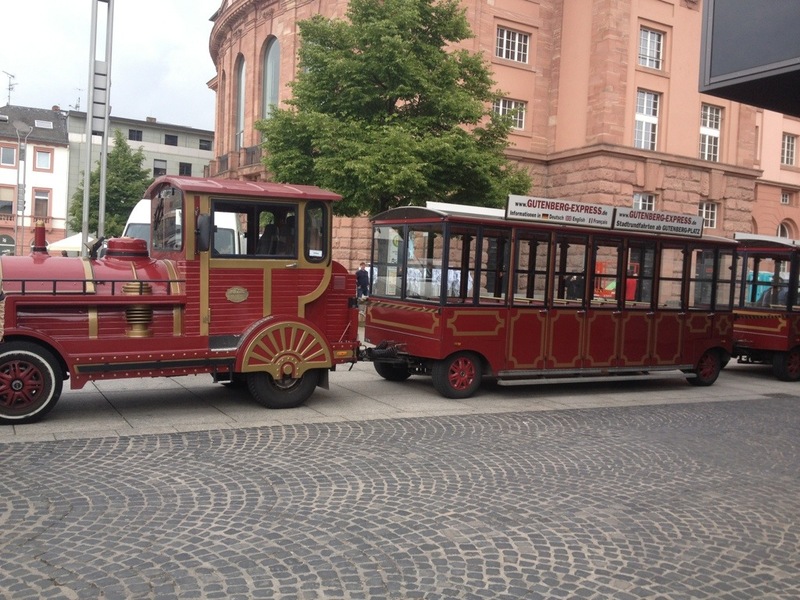 *Not the actual train I took to Mainz. The Mainz trip was a spontaneous, last-minute, and costly affair, but I felt like I had to go because of the print culture angle on my thesis. 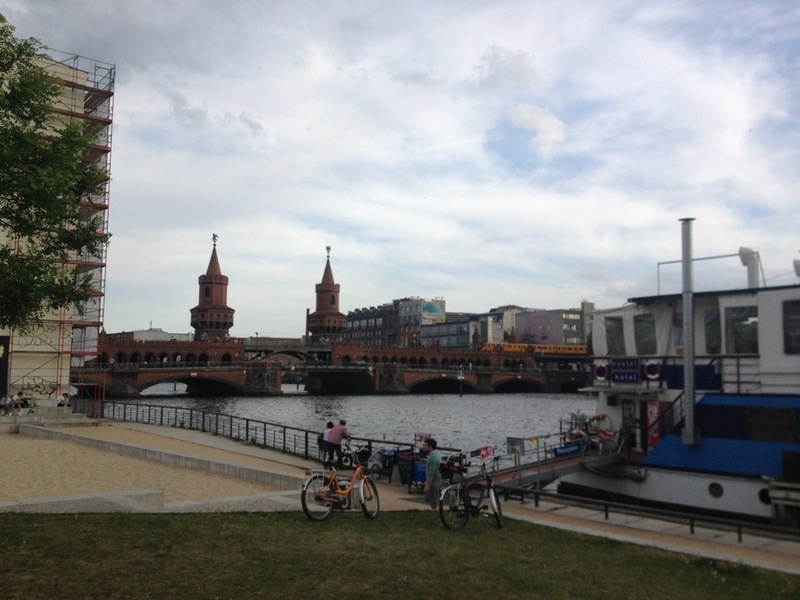 When I got back to Berlin, I had to scramble to prepare for the 10k, and not much went as planned. I showed up to the event 30 minutes late, my iPhone near-dead because I got so lost on the way there. Also, I was wearing my pajama bottoms because my regular running clothes were not done drip-drying and the laundromat I found on Google maps closed at 5pm, an hour before I got there. 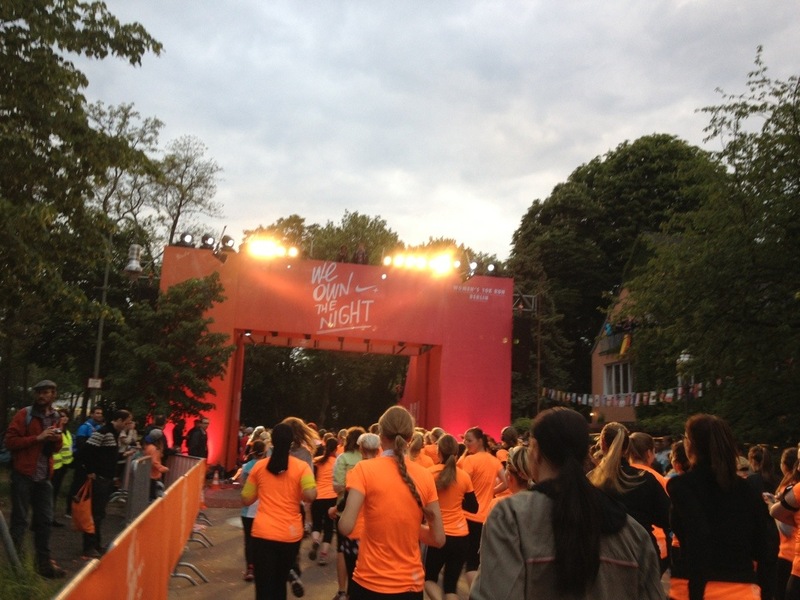 The starting line at the We Own the Night 10K Berlin. I was too late for confetti, but the bubble machine was still running! The biggest disappointment was my music selection. 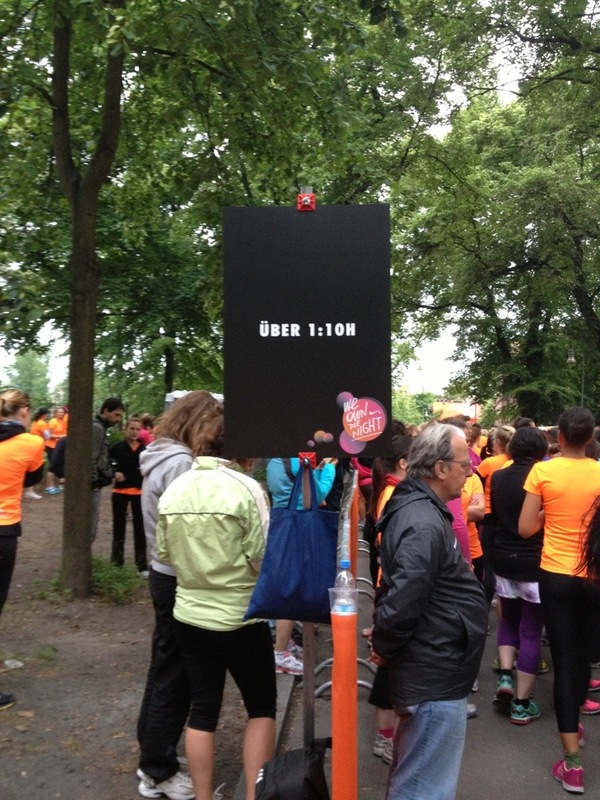 I really really really wanted to run a 10k in Berlin whilst listening to the Run Lola Run soundtrack. 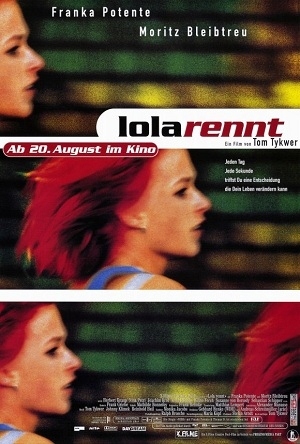 For the uninitiated, the 1998 German film Lola Rennt (Lola Runs) features a protagonist who, you guessed it, runs all over Berlin. The soundtrack is 73 minutes of heart-thumping techno (with a 3-minute bonus track on the English-language market version), which perfectly syncs with my average 10k time. I’ve never been very good with the music downloading, but this soundtrack was freaking impossible to get. I am technologically capable of buying songs from iTunes, but they only had an incomplete version in the British store, which wouldn’t even allow me to make a purchase. All the FreeMusikDownloadz! sites with their foreign language instructions and €30 membership fees scare the hell out of me. I even went to an actual CD store in a moment of desperation, but they didn’t have it. Public domain image courtesy Wikipedia. I guess it really didn’t matter in the end, because my iPhone was practically dead before the race even started. I wound up listening to nothing but the music of the German language chatter of my fellow runners, plus one American study abroad girl telling her friend: “He said certain songs make him think of me, and he gets really emotional, but in a good way.” Oh, honey… Needless to say, overhearing that conversation inspired me to drop it in gear and sprint a good ways down the course. Ain’t no motivation like running from your own past, even if you don’t have the accompanying soundtrack. I’m terrified to post images of Run Lola Run because the soundtrack is so locked down, but this screen grab of the title sequence is just too cool to pass up. I really hope I don’t get sued. I went and saw Lola Rennt last weekend at the Institut für Film und Videokunst arthaus cinema, and it was even better than I remembered. I had written an essay about Run Lola Run for my German film class 11 years ago, really obsessed with how Lola is the strong one in the romantic relationship, but this viewing was all “Mein Gott, I recognize the background in this scene!” A friend had just taken me to visit the Oberbaumbrücke a few days earlier, and when Lola turns a corner to confront the two columns of nuns, the sign post behind her indicates she had been running down the street where the Komische opera house is located. The Oberbaumbrücke as seen from the East Side Gallery. The exterior is not featured in the film, but the walkway’s distinctive ceiling can clearly be seen early in Lola’s run. I walked through it on my tour of Friedrichshain and Kreuzberg, but did not take a picture of the interior, because I am a dumbass. It would be really easy to get sucked into “Lola’s tour of Berlin,” and in fact that has happened to me three times already today (online, that is; it’s too rainy and cold to go walking around outside). From what I have been reading, there are certain geographical incongruities in the film, something that had occurred to me as I watched, even with my limited knowledge of Berlin. I get the same sense watching Richard Linklater’s Slacker, occasionally wondering if continuity from one Austin location to the next was actually possible. I suppose it really doesn’t matter; you can get the feel for a city without having to literally retrace the characters’ footsteps. 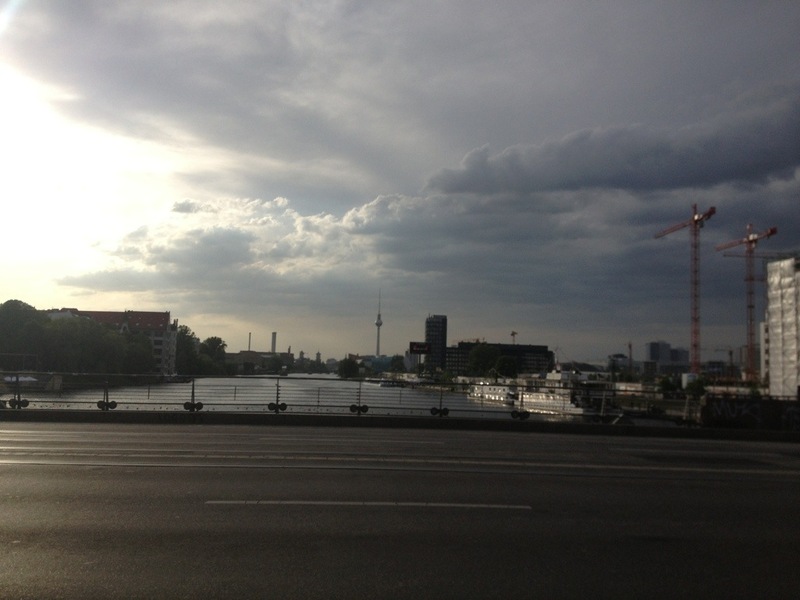 The view of Berlin from the Oberbaumbrücke. One filming location I do think I am going to visit is The Bebelplatz, which serves as the exterior of the bank where Lola’s father works, but in reality was the site of the 1933 Nazi book burning ceremony. There is now an underground monument of empty bookcases commemorating the destroyed literature, as well as a plaque with a line from Heinrich Heine, which translates: “Where they burn books, they will in the end also burn people.” Apparently, there is also a book sale held there every May 10 to commemorate the event, which is a little sad because I was here in Berlin but didn’t know about it at the time. 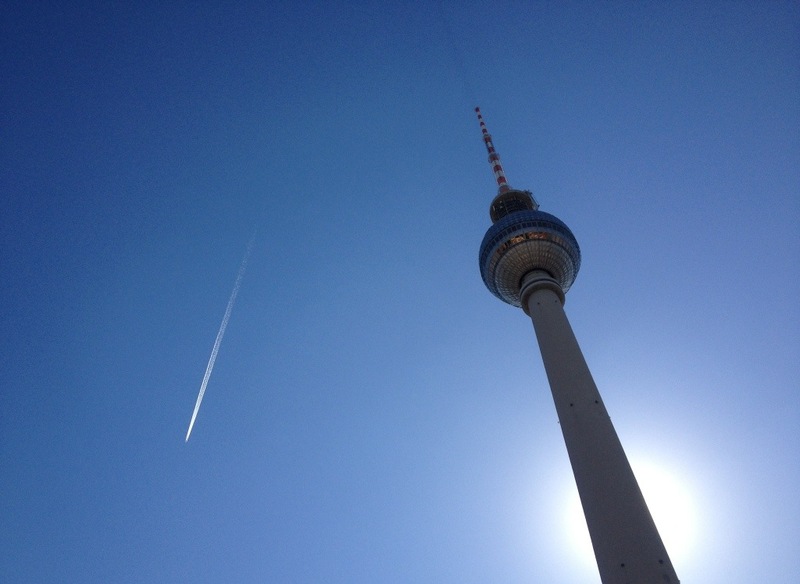 After that screening of Lola Rennt last weekend, I finally remembered why I am obsessed with watching airplanes fly through Der Himmel über Berlin. Finally, as a side note: while browsing the bookshop at the Literaturhaus the other day, I learned that Lola herself, Franka Potente, has a book of short stories, Zehn, which does not seem to be available in English. I really need to learn to read German. This entry was posted in Long Reads and tagged 10k, Berlin, Lola Rennt, Run Lola Run, We Own the Night by Mandy. Bookmark the permalink.